Liquid extraction surface analysis (LESA) is a powerful method for measuring proteins from surfaces. 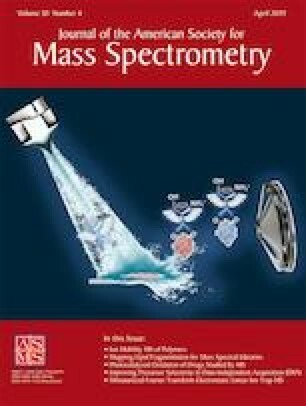 In this work, we present development and initial testing of a cryo-platform for LESA mass spectrometry of proteins. We explore the use of native sampling solutions for probing proteins directly from frozen surfaces. Our initial results from analysis of ubiquitin and hemoglobin standards showed that protein and protein complex refolding or unfolding occurs during the liquid solvent extraction stage of routine room temperature LESA. However, by employing the cryo-sampling method, the refolding or unfolding of protein ubiquitin can be dramatically reduced, while for the protein complex of hemoglobin, its native structures can be better preserved compared with room temperature sampling. This indicates that a truly native LESA sampling method of proteins is feasible. We also present detection of proteins directly from a frozen tissue section. Interestingly, slight conformational differences are observed from different regions of the frozen tissue surface. Further development of this strategy should be considered as a method for preserving, maintaining, and studying proteins in their native states, directly from tissue. The online version of this article ( https://doi.org/10.1007/s13361-019-02178-7) contains supplementary material, which is available to authorized users. This work was supported both through the NPL Strategic Research Program AIMS Higher. Professor Helen Cooper from the University of Birmingham is also greatly acknowledged for her inspiring discussions.